Fall weather is upon us, and we TrailblazerGirls still love our outdoor activities. 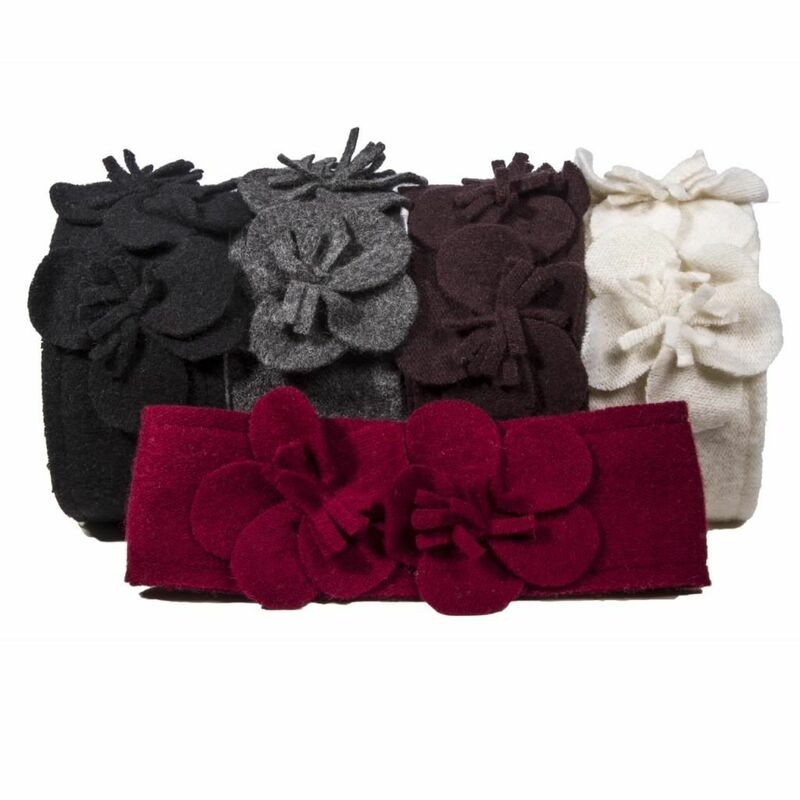 Stay warm with the Scala Wool Headband by Dorfman Pacific’s Scala Collezione collection. A stylish alternative to a hat (read, no messy hat hair! ), these headbands are made of boiled wool. What is boiled wool, you may ask? Well. it’s a special process that shrinks the wool fibers creating a tighter weave thus making it better at keeping you warm. There’s a whimsical rosette attached, and you can choose from 5 fall colors. No more excuses for cold ears!